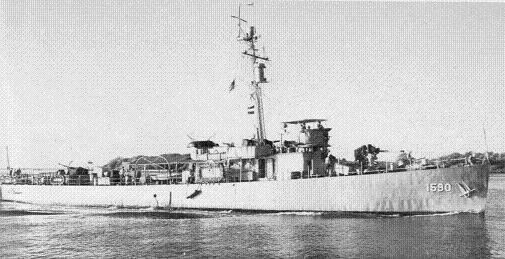 173'9" by 23' by 6'6"
The Adroits, also sometimes known as the Heed class, were PC-461s completed as minesweepers. They were considered unsatisfactory in this role, perhaps because the Admirable class did a much better job of filling the small minesweeper role. They all were eventually converted back into submarine chasers.